Micro Stamp for marking Sterling .925 silver content. Discreet and concise, these micro stamps leave a professional content marking impression. 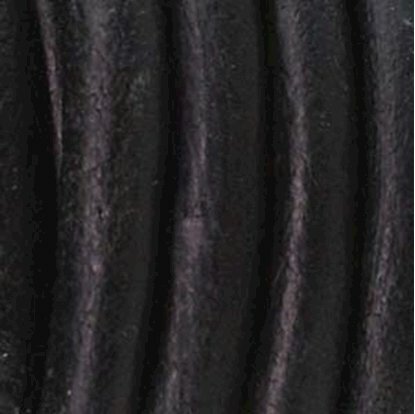 The stamp heads have beveled edges for a stamp head free impression. Already have a signature stamp? 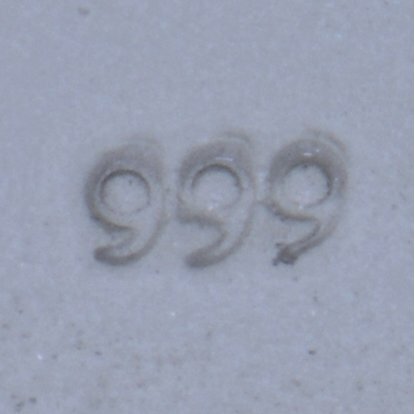 These Micro Stamps are a great way to add content marking to any size stamp impression. 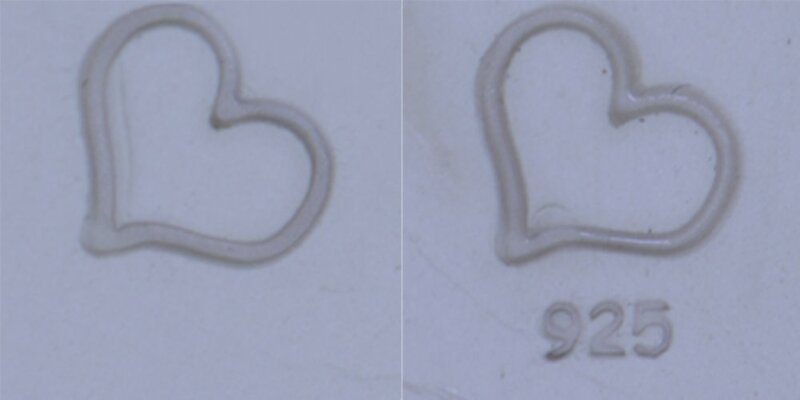 Laser-like quality allows for the marking of the smallest of pieces including tags, beads and earrings. Each impression is a mere 1.76 mm across. The size allows for precise marking without detracting from design. They are intended to only be noticeable under careful scrutiny as seen in any high quality jewelry. Many countries have specific laws requiring precious metal to be marked. Perhaps even more important than that is the fact that most customers check for this mark as sign of quality and legitimacy. 2. Gently just touch clay with stamp head impression. 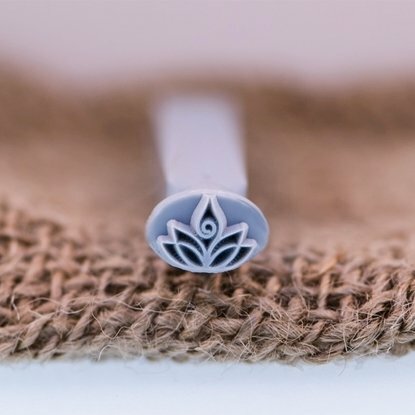 There is no reason to "push" as the tip will cut into clay cleanly with the slighest touch. 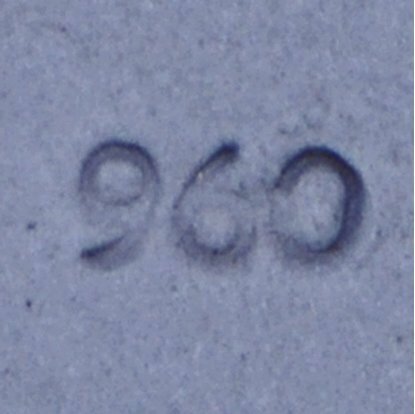 Micro Stamp for marking Sterling .999 silver content. (Approx. 1/2 inch X 1/3 inch) Custom signature stamps for PMC, Art Clay and Metal Clay creations. 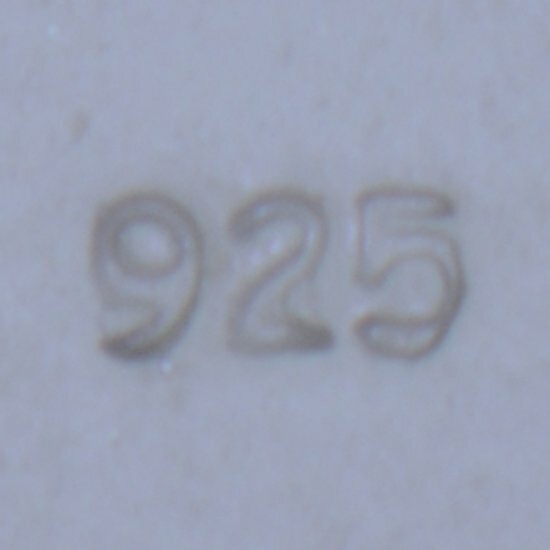 Micro Stamp for marking Sterling .960 silver content.